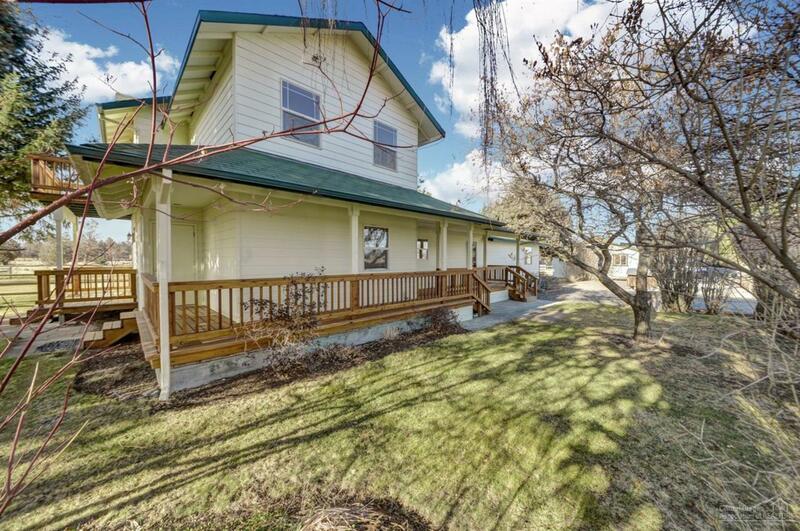 Gorgeous, unique small acreage in Tumalo! 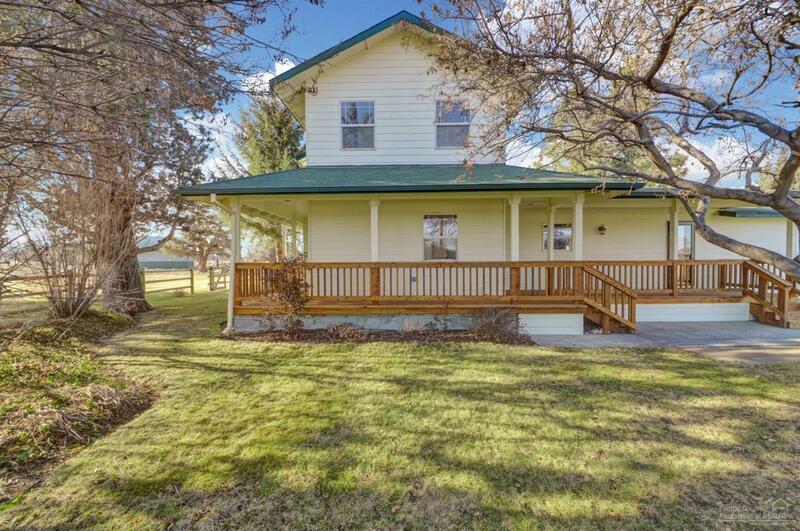 Enjoy stunning pastoral and Cascade Mountain views from this 3 bedroom, 2 full baths, 2165 sq ft, two-story home on 1.25 acres. Set back off the road down a long, private driveway. Large bedroom with sitting room and full bath downstairs. 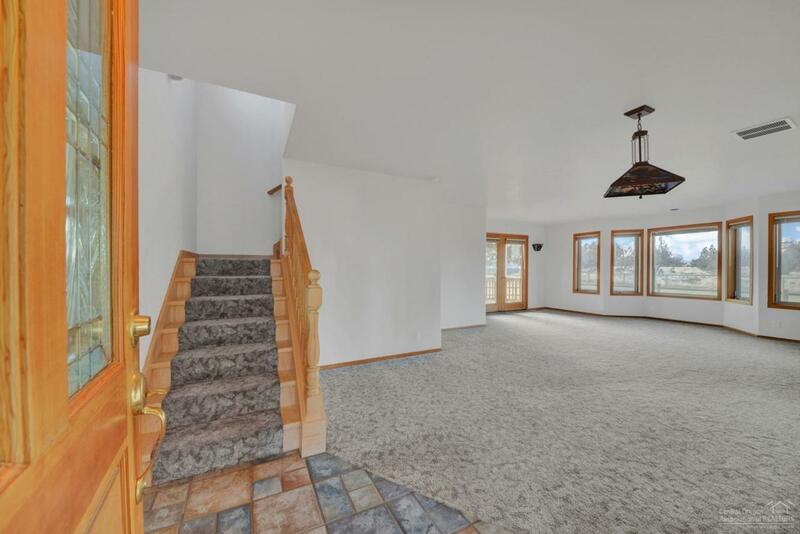 Upstairs master suite with sweeping views/light and bright. Large greenhouse, raised garden beds, garden/yard areas, pond and pasture, all fed by underground irrigation system. Heated and insulated double car garage with shop area. 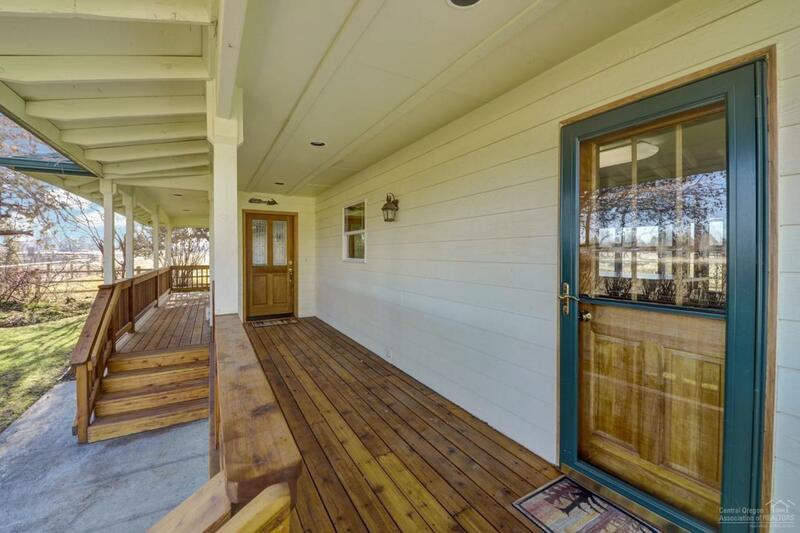 1950's restored barn with chicken coop, barn stalls and access to pasture. Don't miss this opportunity to live out your dreams in the serenity of this beautiful home and easy-care property.